Since 1940’s Pulsafeeder has pioneered the hydraulically actuated diaphragm metering pump principle. 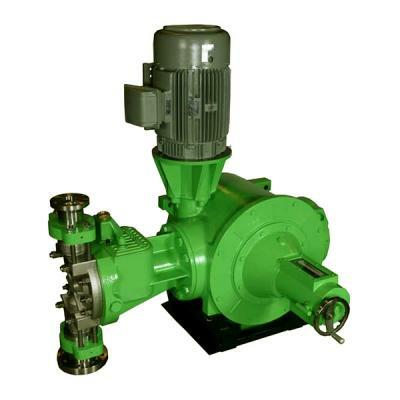 Pulsafeeder pumps can be found in many industries, including, water and wastewater treatment, chemical and petrochemical processing, oil and gas refineries as well as upstream applications. The reciprocating and rotary gear pump technologies are a global leader in fluid handling and meet and exceed the industry requirements. With Pulsafeeder’s engineer pumps, a diverse range of products are available to find an integrated process solution to meet your specific application. These pumps are capable of integrating electronics with digital accuracy to ensure precise process control. 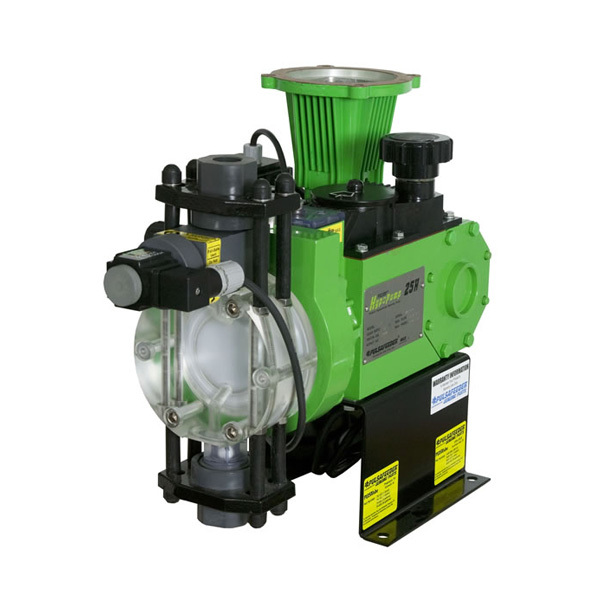 Anderson Process is the Midwest source for Pulsafeeder’s Pulsa, Pulsar, and Pulsa Pro engineered pumps. Anderson Process Pulsafeeder selection provide products to handle a wide range of chemical dosing applications, protect from harsh environmental conditions, and can meet the temperature and pressure requirements for many applications. 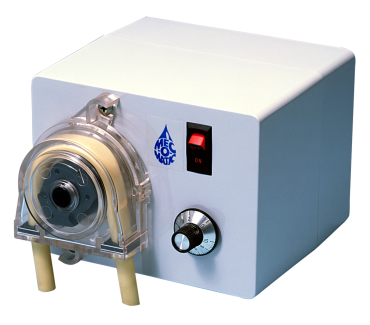 Pulsafeeder’s other products include the Pulsatron, Chem-Tech, Mec-O-Matic, Blackline, and OMNI pumps. 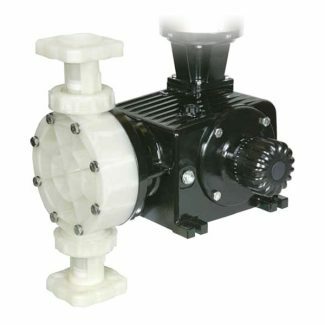 These pumps fit into many industrial fluid systems with harsh chemicals to dyes to water. Pulsafeeder strives to continually improve its high quality pump manufacturing and has achieved ISO 9001 and ISO 14001 certification through an accredited certification agency. You can count on Pulsafeeder for continued commitment to total satisfaction of your fluid handling needs. The PULSAR metering pumps are chemical feed pumps that deliver long-term value and outstanding performance. They are available in 3 types, the Pulsar, Shadow, and HypoPump, which can be combined into multiplex units. The diaphragms can be either hydraulically or mechanically actuated. The hydraulically balanced diaphragm maximizes pump life and pressure capabilities, does no work, and has optimal accuracy and performance. The mechanically actuated pump eliminates the need for hydraulic fluid simplifying commissioning and maintenance, while minimizing power requirements at an economical price. 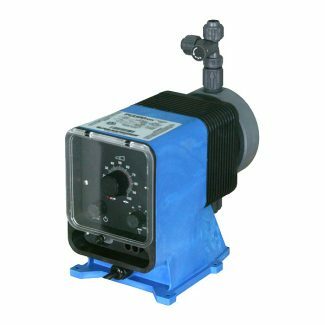 The PULSA series positive displacement, reciprocating metering pump is a rugged long lasting pump and is a favorite among customers. The PULSA series combines the efficiency of a plunger pump with the seal integrity of a diaphragm pump to eliminate leaks. A wide variety of materials are available to handle most chemicals in for your application. 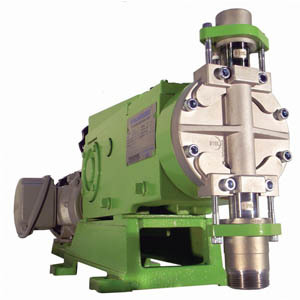 PULSA pumps are typically used in acidic, caustic, pH control, dye/ink, bleaches and many other applications. Available in various configurations diaphragm options such as: the durable flat diaphragm prevents over deflection; the hyrdratube handles high viscosity slurries; the hydracone suits high-lift, high viscosities and low density conditions. 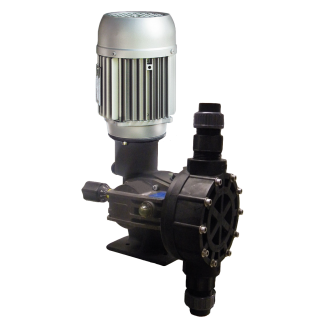 The PULSAtron series pump is electric diaphragm metering pump powered by a fin cooled enclosed solenoid that dissipates heat to maintain pressure handling capabilities of the pump. The thermally protected solenoid protects the pump from seizing up in extreme heat conditions. An automatic reset feature allows the pump to restart after the pump cools down. Typical applications include water treatment, water conditioning, ware wash, and car washes. The PULSA Pro series is designed to produce high flows with high pressures with accuracy and reliability. The modular design allows for simple, duplex, triplex and quadraplex space saving arrangements with either vertical or horizontal motors. The PULSA Pro is resistant to pipe stress and promotes leak free operation; all while making check valves quickly removable without having to disconnect piping. These pumps comply with API 675, CE, ATEX, NORSOK, NACE, and GOST standards. The Blackline Series MD is a motor driven, spring return mechanical diaphragm metering pump for precise and accurate metering control. Standard features include oil lubricated ball bearings in a die-cast aluminum housing, long life reinforced PTFE diaphragm, micrometer style stroke length adjuster (10:1 turndown or up to 100:1 with VFD) and many liquid end material options for any application. 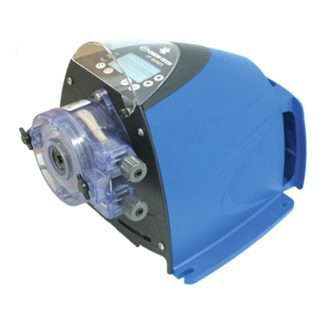 The CHEM-TECH series pump family has peristaltic and mechanical diaphragm metering pumps. Typical applications include car washes, water conditioning, water treatment, and ware wash. Materials are available for pumping sodium hypochlorite (bleach). The MEC-O-MATIC series pump family has peristaltic and mechanical diaphragm metering pumps with the ability to handle many chemical and slurry applications. The pump case has a rugged design to protect it from chemicals, temperature and impedance. The gear parts are heat treated metal parts and the output shaft has heavy duty bearings. Common applications include feeding chemicals, detergents, liquid enzymes, and fragrances to slurry and difficult drain/grease cleaning situations. The OMNI Series diaphragm metering pumps are designed to be economical, rugged, simple, and reliable. They can handle applications with acids, caustics, bleaches, solvents, catalysts and many more. The completely non-vented gearbox design on the DC7 model prevents condensation and ingress of water and other contaminants providing excellent durability and protection from the harshest environments.